China is the largest steel manufacturer in the world and it is still in fast growing, not only in Steel products??? output, but also in steel products??? range and quality. Chinese low-end steel products, billets and hot-rolled coils for example, are not favorable as before for foreign importers. Instead, Chinese steel industry is becoming a higher value-added supply base. You will find that China?? ?s steel industry is becoming a whole new entity. According to SIMA (Steel Import Monitoring and Analysis) ?? ?s report. 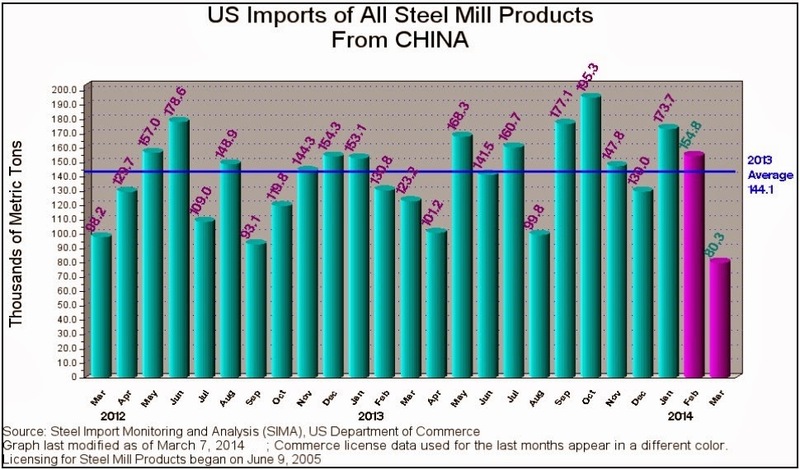 The United States imports of steel mill products from Chinese steel suppliers greatly over the past few years. 1) From 2013.12 to 2014.1 U.S. imports Steel mill products from China increased 33.6%, 173.7 thousand metric tons in total. 2) The data of imports from China in 2014.1 are 13.5% above the volume in 2013.1 and 20.5% above the 2013 average. 3) 2014.1 imports from China represent 6% of all U.S. steel mill imports, above the 5.7% share in 2013.12 but below the 6.4% share in 2013.1. Based on the latest data from the NAFTA countries, the imports from China?? ?s Steel suppliers into NAFTA countries decreased 9.5% , 225.7 thousand metric tons in total. Steel imports into NAFTA countries from the world (excluding intra-NAFTA trade) decreased by 1.8% to 2.3 million metric tons from November to December 2013. Imports from China represented 6% of all NAFTA countries??? steel imports in December 2013, well below the 6.7% and 6.6% shares in November 2013 and December 2012, respectively. 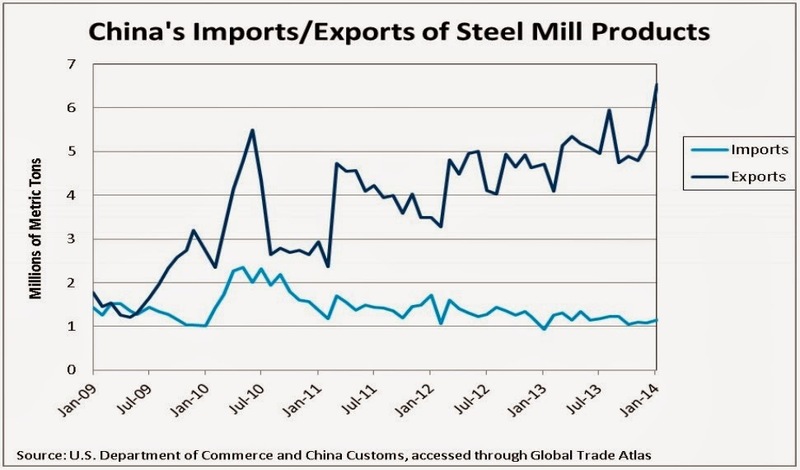 Chinese steel mill imports and exports increased between December 2013 and January 2014, with China?? ?s steel trade surplus widening by 32.3% to 5.2 million metric tons. 1) From December 2013 to January 2014, Chinese exports increased 26.7% to 6.5 million metric tons, a record high export volume that has not been reached since September 2008. 122.6% above exports in January 2011. 3) Chinese imports in January 2014 increased 9.1% from December 2013 imports to 1.4 million metric tons. China?? ?s steel imports in January 2014 were up 20.1% from imports a year ago, and down 20% compared to January 2011. As a professional One stop Steel products supplier since 2002, we, Sunspeed Imp & Exp co.,ltd, will always be here waiting for providing you our best solutions.? ?What we can offer you including: Galvanized Steel, Galvalume Steel, Prepainted Steel, Hot Rolled Steel, Cold Rolled Steel, Angle Iron, Galvanized Angle Iron, Flat Bar, Steel Channel.? ?Please contact us to get what you want. This entry was posted in Chinese Steel Mills and tagged Chinese steel suppliers, flat bar, steel channel on March 25, 2014 by Richard.